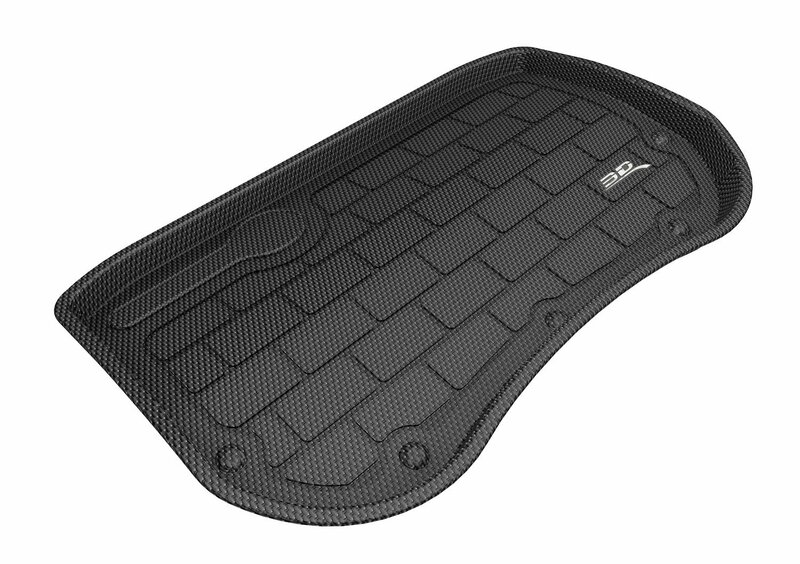 MAXpider floor liners provide an attractive style not found in other all-weather mats and liners. MAXpider liners enhance the look of your Model 3’s interior, while at the same time, provide peace of mind knowing that when spills happen, and dirt, snow, water and salt are tracked onto your Model 3 floor – no damage is done. 3D MAXpider textured all-weather floor liners have a “carpet like” appearance and are pleasing to the eye. Because of the textured finish your feet rest on an anti-slip surface – not slick like other floor liners, which is especially advantageous when your shoes are wet. Exact Fit – Protects Flooring – Easy to Clean. MAXpider three dimensional floor liners fit the contours of your model 3 exactly for a professional looking fit. Edges are raised to provide maximum coverage and protection for your Model 3. Spills are trapped, and can be easily rinsed off with water. Since MAXpider liners are not heavy they are easier to remove for cleaning than other brands of floor liners. Top layer is made from Thermoplastic textured waterproof Rubber. Middle XPE layer reduces foot fatigue & provides a barrier to road noise. MAXpider Floor Liners are non-toxic and odorless. Installation: Remove factory floor mats before installing MAXpider Floor Liners. [spacer height="15px" id="2"] Great looking! 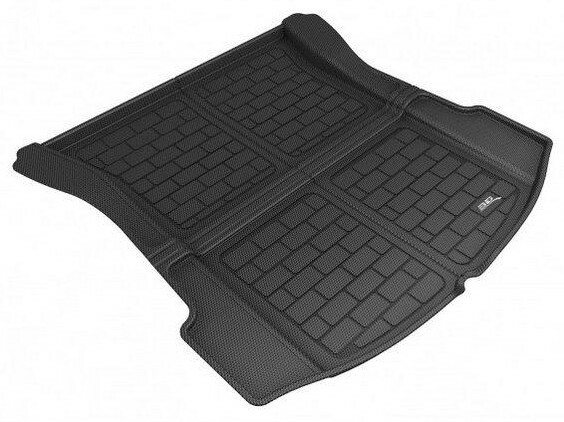 MAXpider floor liners provide an attractive style not found in other all-weather mats and liners. MAXpider liners enhance the look of your Model 3's interior, while at the same time, provide peace of mind knowing that when spills happen, and dirt, snow, water and salt are tracked onto your Model 3 floor - no damage is done. 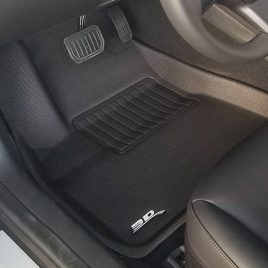 [spacer height="15px" id="2"] Unlike traditional floor liners that have an industrial hard plastic look; 3D MAXpider textured all-weather floor liners have a "carpet like" appearance and are pleasing to the eye. Because of the textured finish your feet rest on an anti-slip surface – not slick like other floor liners, which is especially advantageous when your shoes are wet. [spacer height="15px" id="2"] Exact Fit - Protects Flooring - Easy to Clean. MAXpider three dimensional floor liners fit the contours of your model 3 exactly for a professional looking fit. Edges are raised to provide maximum coverage and protection for your Model 3. Spills are trapped, and can be easily rinsed off with water. Since MAXpider liners are not heavy they are easier to remove for cleaning than other brands of floor liners. [spacer height="15px" id="2"] 3 Layer Purposeful Construction: Top layer is made from Thermoplastic textured waterproof Rubber. Middle XPE layer reduces foot fatigue & provides a barrier to road noise. Bottom layer material is slip resistant to keep liners in place without sliding around. (No Grommets or Hooks needed for Driver's Side Liner. )[spacer height="15px" id="2"] MAXpider Floor Liners are non-toxic and odorless. [spacer height="15px" id="2"] Testimonial: "Received the MAXpiders this morning. They are simple and modern with a quiet elegance...a very sleek, luxurious suede look to them and are super lightweight. No other car floor mats can even come close. By comparison, WeatherTech liners look harsh, industrial and aren't compatible with the Tesla look." — Matt B[spacer height="15px" id="2"] Excellent Video Review of MAXpider Liners for Model 3: [kad_youtube url="https://www.youtube.com/watch?v=0G3FjpADXJk&feature=youtu.be" width=300 height=165 ] [spacer height="15px" id="2"] Color: Black Shipping Box: 6lb/15oz 31x26x5[spacer height="15px" id="2"] Installation: Remove factory floor mats before installing MAXpider Floor Liners. For rear seat floor liner, face the straight edge towards the 2nd row seat. [spacer height="15px" id="2"] PRICING: Shipping to Continental USA $205.09 Front & Rear Seats Liners, includes Shipping to Continental USA $397.07 Front & Rear Seats Liners PLUS Frunk and Trunk Liners, includes Shipping to Continental USA. TRUNK LINER SOLD OUT TILL AROUND APRIL 10TH Shipping to Canada $250usd Front & Rear Seat Liners, includes Shipping to Canada. $450usd Front & Rear Seat Liners PLUS Frunk and Trunk Liners, includes Shipping to Canada. TRUNK LINER SOLD OUT TILL AROUND APRIL 10TH Shipping to Hawaii or Alaska $275 Front & Rear Seat Liners, includes Shipping to Hawaii or Alaska. $475 Front & Rear Seat Liners PLUS Frunk and Trunk Liners includes shipping to Hawaii or Alaska. TRUNK LINER SOLD OUT TILL AROUND APRIL 10TH Shipping to Europe $275usd Front & Rear Seat Liners, includes Shipping to Europe via Priority Mail from the Post Office. Allow 7-14 Days for Delivery. $475usd Front & Rear Seat Liners PLUS Frunk and Trunk Liners, Shipping to Europe via Priority Mail from the Post Office. Allow 7-14 Days for Delivery. TRUNK LINER SOLD OUT TILL AROUND APRIL 10TH Shipping charge to Europe does not include VAT or import duty charges. Delivery times may be longer should customs hold parcels. MAXpider Floor Liners are not available for RHD Model 3 at this time. 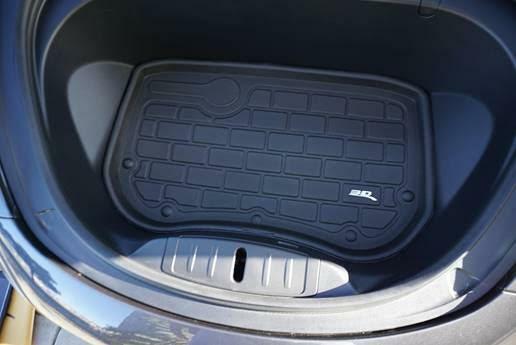 See this page for pics, product details for Frunk and Trunk MAXpider Floor Liners: https://www.formytesla.com/product/3d-maxpider-all-weather-frunk-and-trunk-floor-liners-for-model-3-in-stock/[spacer height="15px" id="2"] If you have a Discount Coupon Code, enter it on the "View Cart" page[spacer height="15px" id="2"].